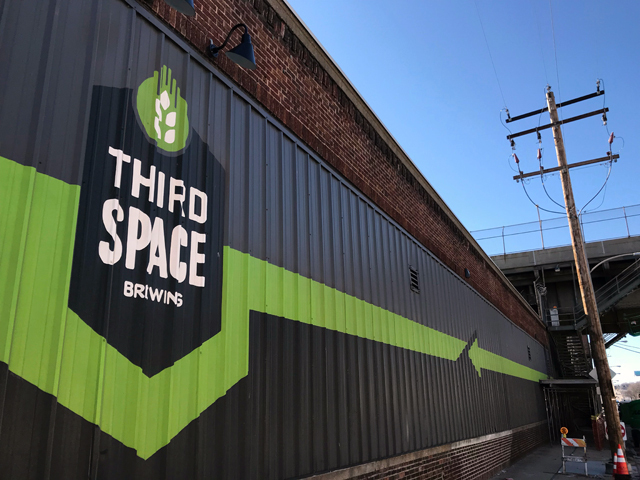 In less than two years, Third Space Brewing, 1505 W. St. Paul Ave., has carved out a place in Milwaukee, boosting production and growing its presence in bars, retail outlets and at high-profile spots like Miller Park. And it’s done it all from its home in the Menomonee Valley – a home firmly rooted in Milwaukee history. 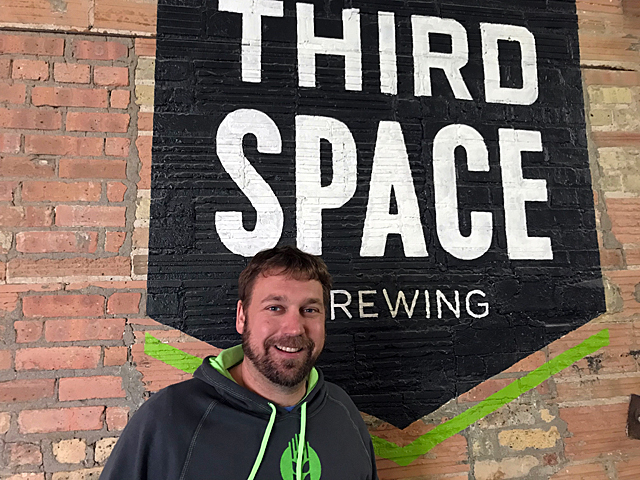 Since opening in September 2016, Third Space Brewing – founded by partners Andy Gehl (pictured below) and Kevin Wright – has occupied one of the buildings that formed the campus of Geuder, Paeschke & Frey Co., on the site of one of Milwaukee’s earliest brickyards. Founded in 1880, GPF became a huge metal and enamel works company. In the 1890s, GPF made products like lamps and canteens for miners, toy metal banks, candlesticks, bathtubs, portable stoves and heaters, children’s table trays and spittoons. 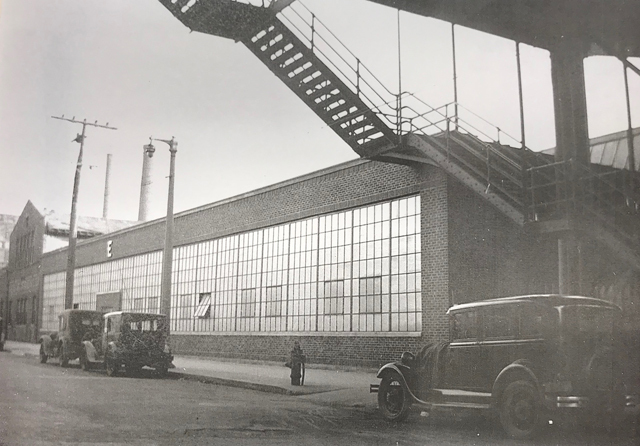 In its earliest days, GPF had been located in the heart of Downtown: at 3rd and Everett (where WE Energies is now located), on Water Street between Buffalo and Chicago and on Plankinton, next to Gimbels. 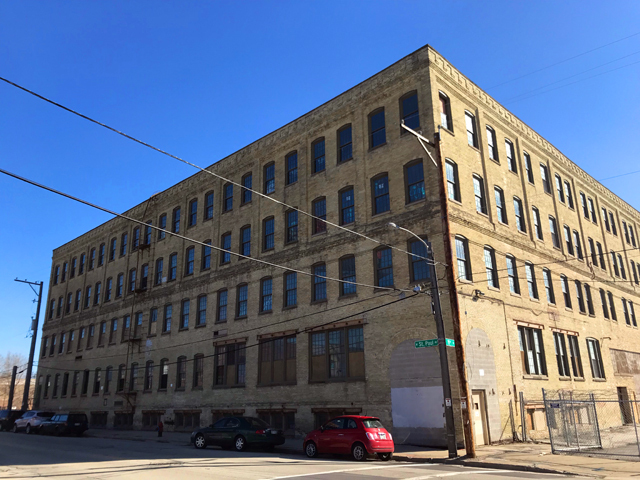 But in 1894, it built a hulking factory on 15th and St. Paul. That cream city brick building with its arched brick entrances still stands across the parking lot from Third Space, awaiting a new use. Before that, the land was home to Benoni Finch’s brickyard, the second in Milwaukee, opened in 1836. It is here that many of the cream city bricks used to build Milwaukee were made. The building as it appeared in 1931 (above) and as it appears now (below). The windows are still there and can be seen from inside. As GPF grew, it erected in 1929 the single-story kiln building in which Third Space is now located. It is here that the GPF’s landmark consumer product was likely created. In 1935, GPF created the first character-themed lunchbox aimed at children. 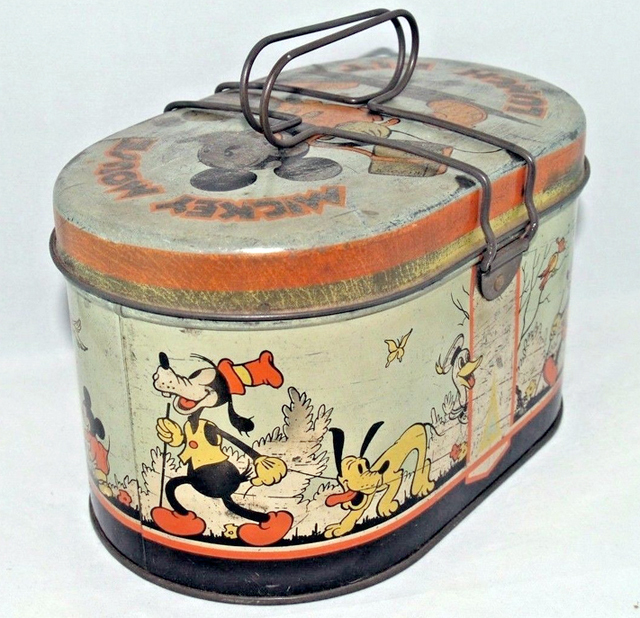 That lunch box, which featured Mickey Mouse and other Disney characters, is now a highly in-demand collectible and can sometimes be found listed on eBay at upwards of $2,500. 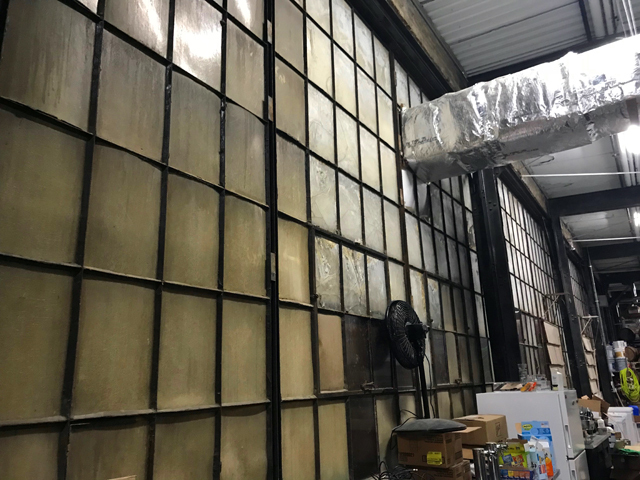 According to Gehl – who is interested in history, perhaps thanks to his dad, who leads walking tours for Historic Milwaukee Inc. – GPF also made steel barrels for Milwaukee breweries. That’s a nice little Third Space connection to brewing history. 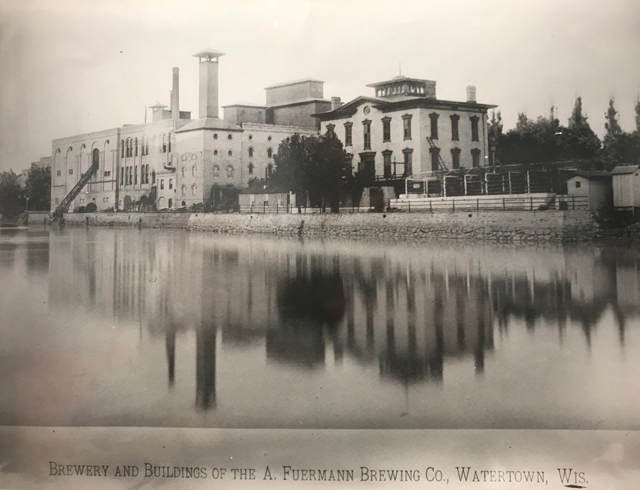 So is the fact that Gehl’s great-great-great-grandfather August Fuermann’s brewery operated in Watertown from 1848 until 1896. GPF was acquired in 1984 by another metal fabricator, which still owns the Menomonee Valley buildings and continues to operate, on a much smaller scale than GPF, in one of the structures, Gehl says. “We knew nothing about the history of the building when we decided to rent it,” Gehl says. “We basically chose this building for several reasons. One of them is it’s a big open space, tall ceilings, which is really important in brewing. Especially if you want to be a large-production brewery, which was our goal. That’s not to say everything was perfect. First, a whole lot of stuff had to be hauled out, including those old kilns (though a few of the tops of the chimneys can still be seen in the brewery), some conveyor belts and other stuff. 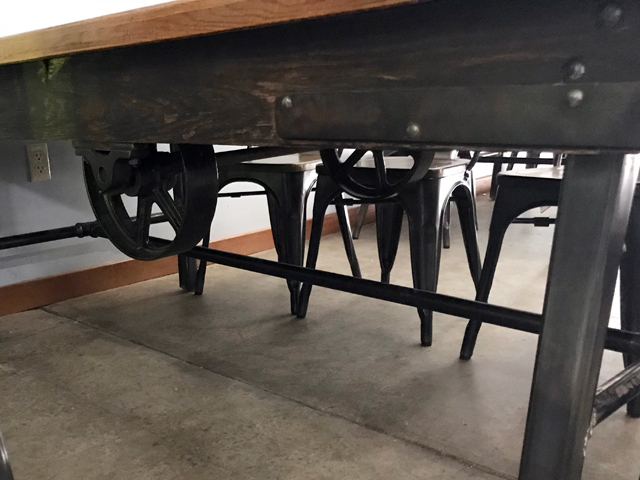 The heavy old carts used to move things around were left behind and Third Space has converted some of them into the tables for its taproom (take a look under your table next time you’re there). Then, the floor had some funky sloping thanks to the settling of the building, and some new concrete floor sections were poured. 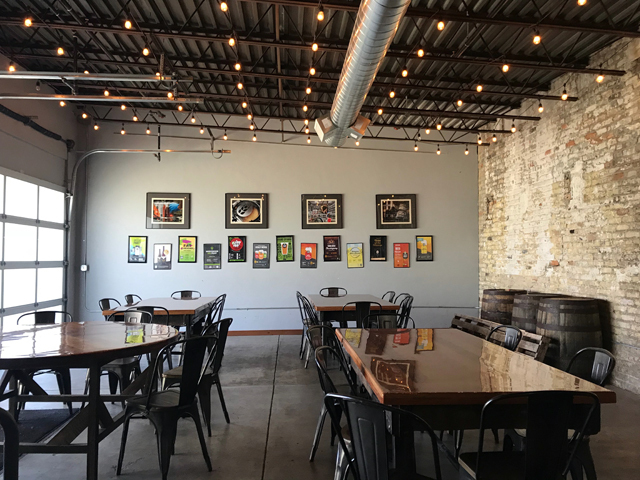 “We had to rip everything out,” Gehl says, noting that they did strive to keep some great old industrial details – old doors, hooks attached to the wall, exposed beams, gnarly floors – which you can see in the tap room. But it was all worth it, because Third Space, in the end, got what it needed, and in a place it appreciates. Mostly because of luck, Gehl and Wright ended up building their brewery in a part of town that is becoming hotter and hotter. While Potawatomi, Marquette and Sobelman’s have been nearby for years, there’s another architecture firm moving in across the street, right near where Plum Media opened its HQ last year, City Lights Brewing is just down the street, there’s a new art gallery nearby, a CrossFit gym right next door, Potawatomi is expanding. “We liked the idea of locating in a part of town where there isn’t really much going on but we see a future for,” Gehl says. “You know, I think, 10, 15 years from now, this could be … who knows what it could be, but think about Lakefront. When they opened where they are (on Commerce Street), there was nothing around them. 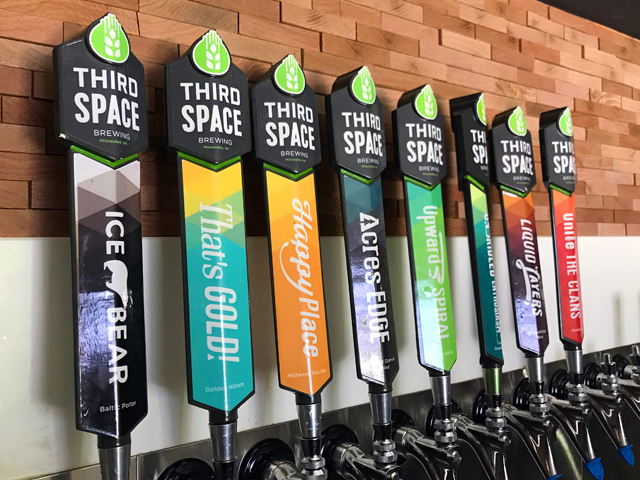 With its speedy growth, Third Space is looking more and more like an anchor in the Valley. In its first year, the brewery – which had the capacity to brew about 3,000-plus barrels of beer annually, made about 2,200 barrels. 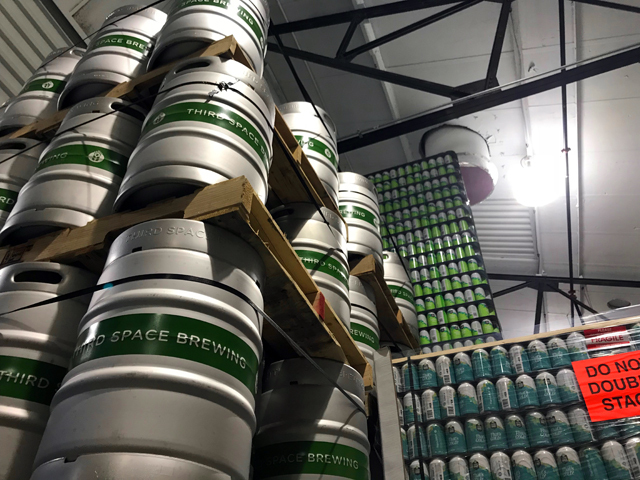 In the summer Third Space added two 60-barrel fermenters and the canning line, and in May two 90-barrel fermentation tanks, a whirlpool system, a five-barrel pilot system and a grain silo for malt will arrive. 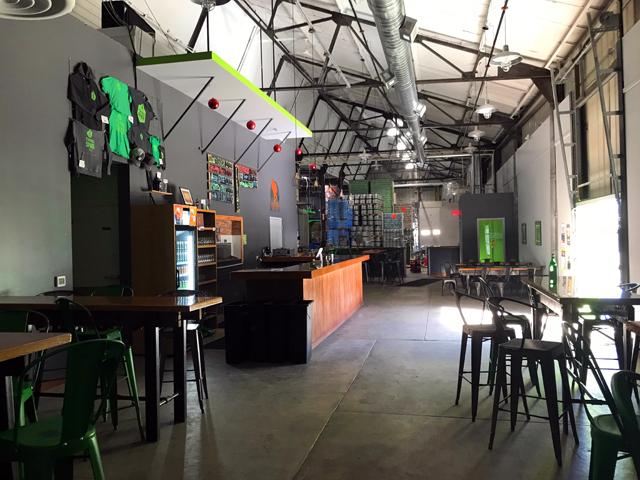 Another full-time brewery position will also be added. Capacity will be about double what it was when Third Space opened. 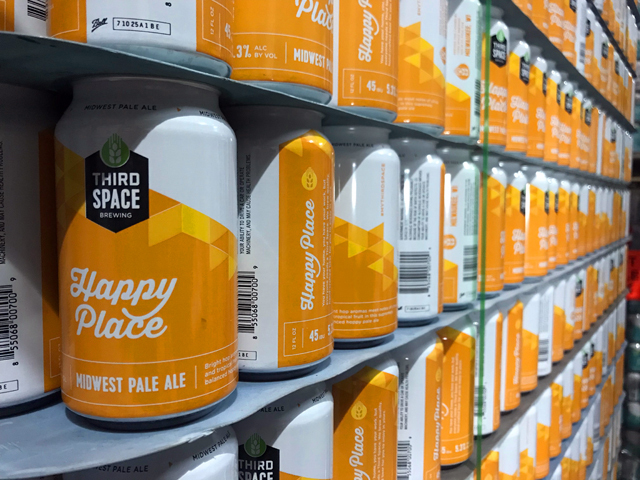 At the moment, you can get a number of Third Space beers in cans, distributed by Beechwood, including its three stalwarts – Happy Place, a Midwest pale ale, Upward Spiral IPA and Unite the Clans, a Scottish ale. 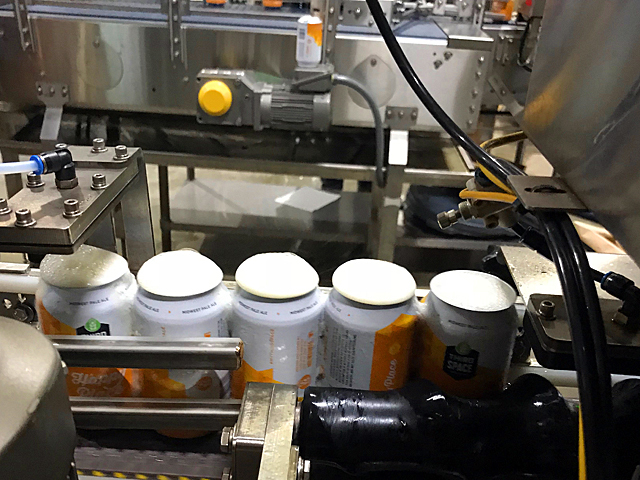 But there are others, too, including a pair of alternating brews available for six months each, along with a handful of other seasonals, too. You can try them and and get a tour of the brewery by visiting the taproom. 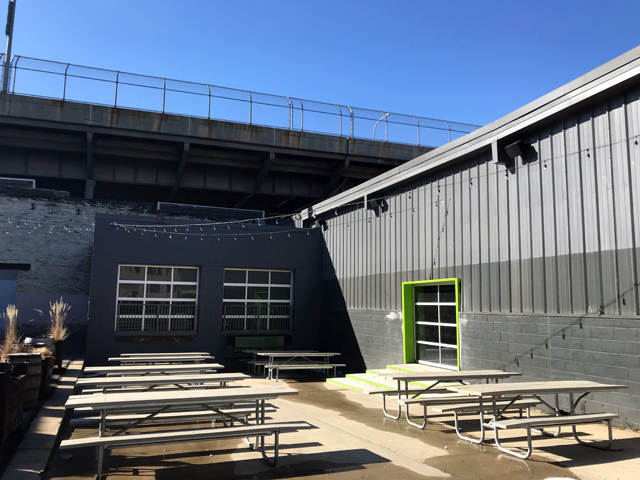 Public tours are offered on Saturdays at 1 and 3 p.m. Tours are $10 but include two full-pour beers and a pint glass to take home, which is a pretty sweet deal. 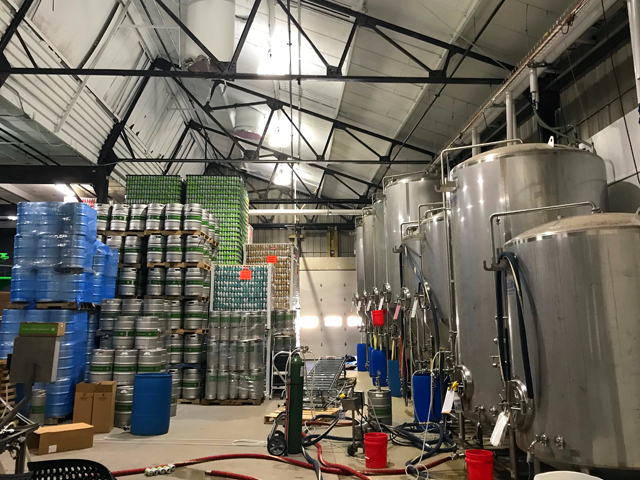 “It’s a better deal than coming to the brewery and just drinking,” admits Gehl, who takes turns with Wright leading the roughly 30-45-minute tours. Still, says Gehl, there are typically plenty of available spots on the tours. “I’m surprised more people don’t take us up on them especially considering the deal it is. And it’s not like we’re not busy. We’re packed in here. People are just choosing to sit and chat with their friends rather than go on the tour.